"Actually I just picked this shirt up in a vintage store, it's from the 1960s and I kind if just threw together some bright tights to give it a little bit of color." I like the idea of playing with the sheer trend, through a more subtle medium (than just sheer fabrics) like this knit sweater that has the shadow of sheerness, yet seems very respectable in its knit design (though I would've pegged it for '80s era). Her matte purple tights add bright color. 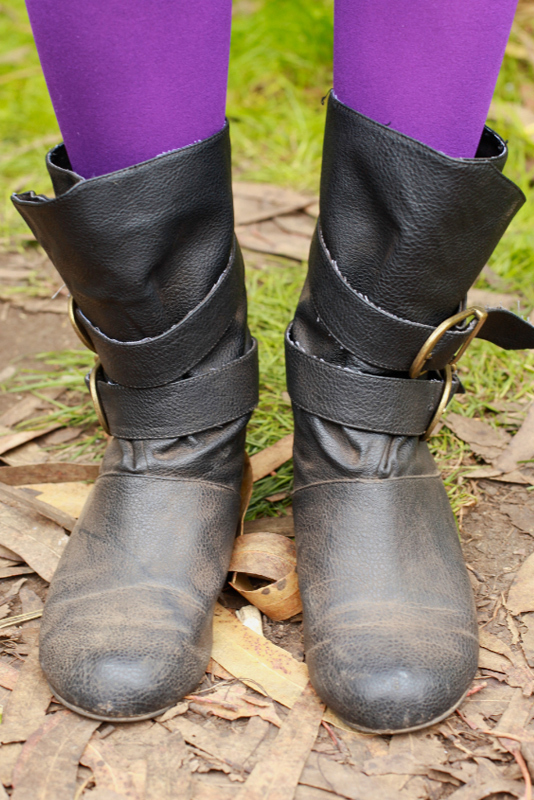 Dusty mid-calf boots with buckles are just the right amount of swashbuckling.